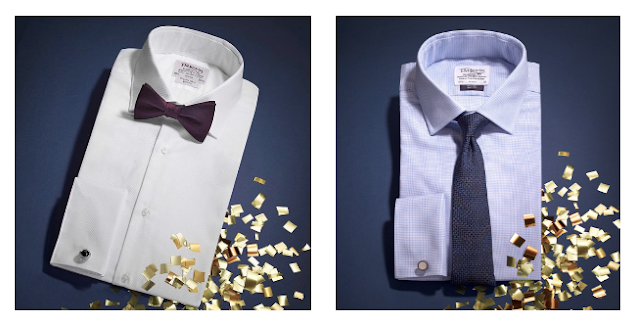 T.M.Lewin has reated the perfect gift guide for the man who seems to have everything. Winter accessories make great gifts for men, as we all know how dreadful those cold nights can be. While T.M.Lewin’s gloves have luxurious leather on the outside and a cashmere lining, their cashmere scarves are light and soft, making both of these accessories the best (and coziest) gifts for the season. Whether he’s in need of a shirt for an upcoming black-tie event or for an everyday look, new shirts can go a long way for men. As the kind of fabric can have a significant effect on the look and feel, T.M.Lewin’s liberty fabrics offer a soft, luxurious feel that will leave him feeling the fit of an incredible quality shirt. Is he looking to spice up his everyday outfit? A bold Beccaria printed tie makes a great year-round present that is sure to have him leaving an impression at the office. If he already has one too many ties, brand new cufflinks are the perfect gift that will be sure to add a touch of luxury to his business outfits.